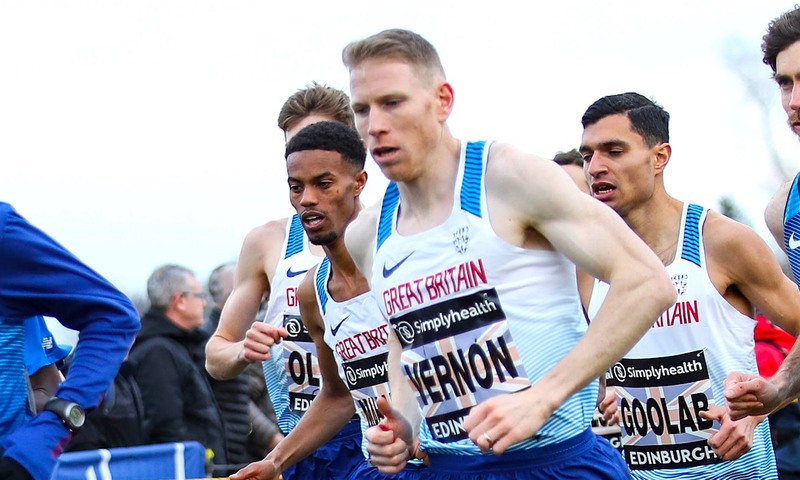 The long time GB track and cross country ace chats about adapting his running schedule to prepare for a marathon debut in London. The marathon remains the jewel of the road racing crown for the majority of endurance athletes, and after much success on the track and in the mud, Andy Vernon is ready to step up to the distance. 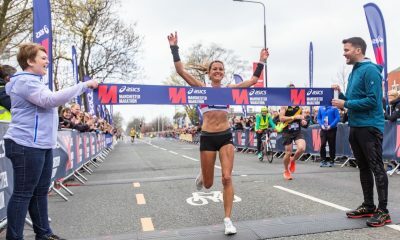 For the two time European Championships medallist, April’s London Marathon debut promises to be the biggest challenge of Vernon’s illustrious career so far. Vernon is well aware of how his recent injury issues have made an unavoidable dent into his marathon build up. Happily, the Aldershot, Farnham & District star remains defiantly positive about his necessarily revised approach. 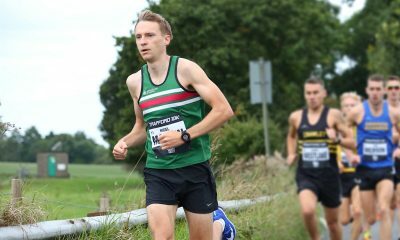 “Ideally at this stage, 13 weeks out from London, I’d like to be in good 10k shape, but realistically I’m not,” he admits. 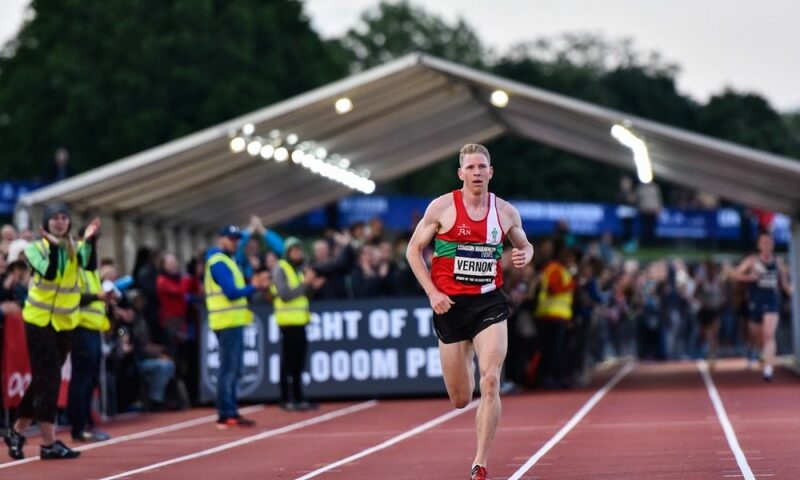 With PBs ranging from 13:11.50 and 27:42.62 for 5000m and 10,000m to 47:29 and 62:46 for 10 miles and the half marathon, he is no stranger to big miles and intense sessions. Arguably, his wealth of endurance built up over more than a decade will prove to be his greatest strength to bring to the marathon. That, and his scorching track speed. Averaging 90 miles a week for a lower mileage period and 110 miles in peak training, he says that higher figure will rise above his biggest mileage week ever – that currently stands at an incredible 122 miles. “I’ll be looking at building it up to 130 miles over the next couple of months,” he reveals. “I’m used to big miles though, and already cover between 18-20 miles on long runs as it is. “However, it will be the change of running style inherent to road running that will be the most obvious difference I will have to adapt to, after decades of track and cross country. So how will Vernon’s training change on a basic level as he enters the unknown realms of marathon training? 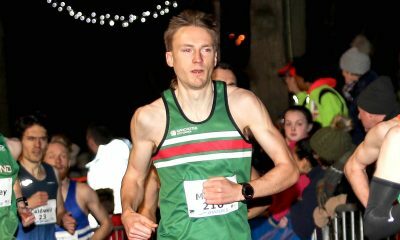 “My average training week up until now has involved three sessions a week on Tuesdays, Thursdays and Saturdays, with the rest made up of steady runs and a long run on Sunday,” he explains. The AFD ace is no stickler for specific paces or a slave to heart rate monitors, though, preferring to run to ‘feel’ and just cover the set number of miles in whatever time it takes him. “I just roll into it, there are no goals for the steady miles, but I do keep an eye on the watch to see if I’m running faster than I feel or slower, and how that reflects my natural instinct for the pace,” he says. Vernon is grateful to live in Blackwater in Hampshire, where he has not one but two forests to train in, as well as Hawley Lake to run around when the mood takes him. Unsurprisingly, running on trails is his preferred terrain, to both reduce the impact of all of those miles on his joints but also to enjoy the views his training location affords him. Self-coached since September 2017, he is happy to be in control of his own training schedule after years of being coached by firstly Nick Anderson and then Nic Bideau. His departure from Bideau’s training group came about after the coach signed an agreement with Nike Australia, who were reluctant to sign Vernon onto their programme. Nike UK couldn’t pay the AFD athlete a wage, but when On Running stepped in to sponsor Vernon he gratefully accepted, and thus the two men went their separate ways. “The politics involved in running can be complex, but as I’ve said before, I couldn’t be happier now – On Running have treated me so well, and I know what I’m doing with my training after all these years,” he adds. “I do take advice when offered, however. When I was in Stirling for the international cross country I chatted with Paula Radcliffe and Kathy Butler about the marathon. So what does an average day look like in the Vernon household now marathon training has well and truly set in? Andy and his wife Tasha take it in turns to look after three month old baby Arya in between Tasha’s hours working as a personal trainer and Andy’s increasing mileage. “I’ll start the day with breakfast followed by a foam rolling and stretching session to wake up the muscles before the first run of the day – this can take an hour some days,” he reveals. “The timing of the morning run will depend on Arya, after which time I’ll have a shower and something to eat. “Then, depending on Arya and Tasha’s hours, I’ll relax in the afternoon or go to the gym, then run again around 4pm. The two time European Championships medallist’s picture of trying to fit in up to 130 miles a week around a busy family life is one that many can relate to, albeit perhaps not such as high a mileage!